Through the month of May, we invite you to "sip and shop" at Michael's Wine Cellar each Saturday afternoon. Sip & Shop on Saturday, May 7, 2016 Trebbiano "San Benedetto", Zenato, Lugana, IT, 2013 - $12.95 Arneis "Blange", Ceretto, Langhe, IT, 2013 - $19.95 Molise Rosso “Ramitello”, Di Majo Norante, IT, 2011 - $15.95 Sangiovese, Alverdi, Rubicone, IT, 2014 - $9.95 Sip & Shop on Saturday, May 21, 2016 Sauvignon Blanc, Honig Cellars, Napa Valley, CA, 2014 - $16.95 Chardonnay, Reata, Carneros, CA, 2012 - $19.95 Merlot "Bench Vineyards”, Pedroncelli, Dry Creek Valley, CA, 2013 - $14.95 Zinfandel “Old Vine”, XYZin, CA, 2013 - $14.95 Sip & Shop on Saturday, May 28, 2016 Moscatel Seco "Botani", Jorge Ordonez, ES, 2011 - $17.95 Albarino, Legado del Conde, Rias Baixas, ES, 2012 - $15.95 Granacha "Old Vines", Breca Garnacha de Fuego, Calatayud, ES, 2013 - $9.95 Tempranillo "Dehesa La Granja", Alejandro Fernandez, ES, 2007 - $19.95 Of course, on Saturday, May 14, we invite you to join us for the Wine Cellar's monthly Open House Wine Tasting. Admission is $10 per person for this casual, walk-about tasting featuring 50+ international wines. Click here for directions to Michael's Wine Cellar. Regular store hours are 10 a.m. – 6 p.m., Monday – Saturday. For the convenience of shopping 24 hours a day online, simply click here to shop our web store. Please join us for a special "Garden to Plate" wine dinner at Selby Gardens! 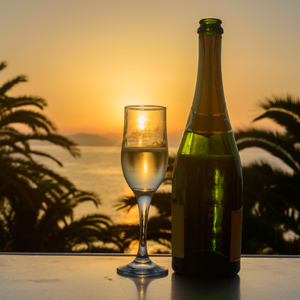 Wines from around the world hand-picked by Michael, a remarkable menu designed personally by Phil, a picturesque bayfront garden prepared to host an extra-special wine dinner…. at the end of this month! All are welcome to join us for the highly-anticipated “Garden to Plate” Wine Dinner hosted by Nora & Billy Johnson and Jenny & Ken Pendery on Thursday, April 28 at Selby Gardens. Click here for details and reservations. Featured wines will include: 2011 Szegeti Pinot Noir Brut Rose, Austria This sparkler is a brilliant salmon color with red gold highlights. Aromas of strawberries and red cherries carry through to the palate, which finishes with a lively acidity and a delicate mousse. 2014 DeMorgenzon Maestro White, Stellenbosch, South Africa On the nose and palate, there are concentrated orange and yellow stone fruits, as well as notes of spice and zesty citrus. 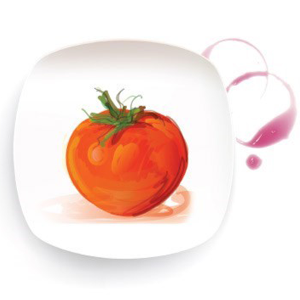 The palate is full-textured, leaving you with a lingering aftertaste. 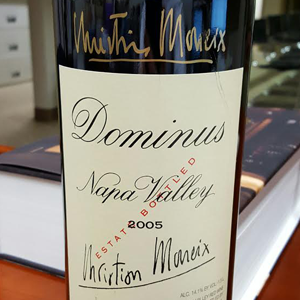 It is an elegant wine with persistent nuances of honeysuckle and frangipani. 2014 Domaine Hubert Brochard Sancerre, Loire, France The Domaine Hubert Brochard Sancerre Blanc Aujourd'hui Comme Autrefois offers flavors of citrus and grapefruit with subtle floral nuances. Balanced with a lively acidity, this Sancerre Blanc is best enjoyed chilled and has an aging potential of 3 to 5 years. 2008 Marques de Grinon Summa, La Mancha, Spain Deep ruby-red in color with purple reflections, this wine shows rich notes of dark berries, clove, smoke and pepper. On the palate, layers of mineral and fruit notes are interwoven, accompanied by soft tannins, silky texture and excellent concentration 2013 Renacer Enamore, Mendoza, Argentina Dark ruby red in color, Enamore offers supple aromas of ripe berries, raisin, and plums. Sensual notes of exotic spices, charcoal and chocolate are seamlessly layered with the fruit. Full bodied, rich and complex, with a long finish beautifully framed by fine-grained tannins. This is a very special wine that will surprise many wine lovers. Michael's monthly Open House Wine Tasting will be held the SECOND Saturday in May. (Regulars, please make note in your calendars!) Please join us in the Wine Cellar for this casual, walk-about tasting featuring 50+ international wines. May Open House Wine Tasting Saturday, May 14, 2016 2-4 p.m. $10/person Click here for online reservations, or simply join us at the door. We hope you'll be able to attend Sarasota's favorite wine tasting! Through the end of April, we invite you to "sip and shop" at Michael's Wine Cellar each Saturday afternoon. Sip & Shop on Saturday, April 16 Rose “Pinot Noir”, Balletto, Russian River Valley, CA, 2015 Chardonnay “Estate”, Hook & Ladder Vineyards, Russian River Valley, CA, 2013 - $16.95 Chardonnay, Martin Ray, Russian River Valley, CA, 2014 - $17.95 Pinot Noir, Inman Family, Russian River Valley, CA, 2011 - $19.95 Sip & Shop on Saturday, April 23 Sauvignon Blanc "Game Reserve" Graham Beck, ZA, 2014 - $19.95 Chenin Blanc, Vinum Africa, Stellenbosch, ZA, 2011 - $16.95 Red Blend "Babel", Babylonstoren, ZA, 2013 - $18.95 Pinotage, Passages, Coastal Region, ZA, 2014 - $16.95 Sip & Shop on Saturday, April 30 Rose “Vinha Grande”, Casa Ferreirinha, Douro, PT, 2014 - $16.95 Torrontes "Series A", Zuccardi, Salta, AR, 2013 - $13.95 Malbec "Crios" Susana Balbo, Mendoza, AR, 2014 - $14.95 Carmenere “Casa”, Lapostolle, CL, 2013 - $12.95 - $12.95 Of course, on Saturday, May 14, we invite you to join us for the Wine Cellar's monthly Open House Wine Tasting. Admission is $10 per person for this casual, walk-about tasting featuring 50+ international wines. Click here for directions to Michael's Wine Cellar. Regular store hours are 10 a.m. – 6 p.m., Monday – Saturday. For the convenience of shopping 24 hours a day online, simply click here to shop our web store. 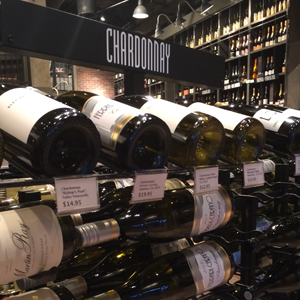 On Tuesday, May 10, Michael's Wine Cellar invites you to a Blind Tasting of Chardonnays from around the World. This special class lead by our own Robin Schwartz will begin promptly at 6:30 p.m.! Please register now and join us to taste six different Chardonnays from six different locations around the globe. Admission is $20 per person. Click here to register online or call 941-366-0007, ext. 229. Held monthly under candlelight at Michael’s Wine Cellar, Michael’s Wine Dinners are extravagant, multi-course feasts paired with fine wines from around the world. Please join us for our next event! Hamilton Russell Vineyards (South African) Wine Dinner Wednesday, May 11, 2016 7 p.m. at Michael's Wine Cellar $95 per person, plus tax and gratuity This wine dinner will be hosted Winery Proprietors Anthony & Olive Hamilton Russell who will be traveling from South Africa for our event! 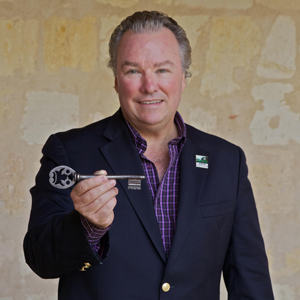 Anthony Hamilton Russell took over Hamilton Russell Vineyards from the founder, Tim Hamilton Russell, in 1991. Anthony narrowed the winery's focus to Pinot noir and Chardonnay only and registered Hamilton Russell Vineyards as an Estate, committing to work only with grapes from their terroir. 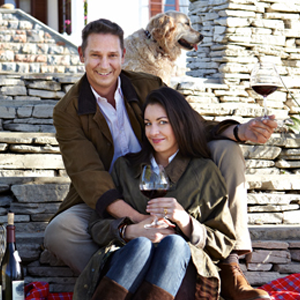 Anthony with his wife Olive along with their winemaking and viticultural teams are completely dedicated to expressing the personality of the Hamilton Russell Vineyards terroir in their wines. Tiny yields and intense worldwide demand keep the elegant, highly individual, Estate grown Pinot noir and Chardonnay in very short supply. Anthony & Olive look forward to offering you the following featured wines from their portolio during this special five-course South African Wine Dinner: Welcome 2015 Southern Right Sauvignon Blanc First Course 2015 Hamilton Russell Chardonnay 2008 Ashbourne Sandstone Second Course 2014 Southern Right Pinotage 2008 Ashbourne Third Course 2014 Hamilton Russell Pinot Noir 2007 Ashbourne Click here for online reservations or call 941-366-0007, ext. 229 to register via phone. (Phone reservations are available Monday through Friday, 9 a.m. - 5 p.m.) Reservations are required as seating is limited. 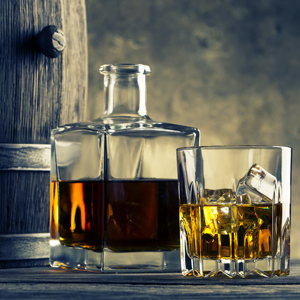 Following the popular Whiskey Obsession Festival, Michael's Wine Cellar is thrilled to host a special Whiskey Tasting - featuring the BEST OF The Whiskey Obsession Festival - at 6:30 p.m. on Tuesday, April 12. Here are the select spirits offered at this special tasting, recognized as just a few of the "best of!" Scotch, Aberlour A’Bunadh Bourbon “Ocean”, Jefferson’s Whiskey "Pecan", William Wolf Whiskey "Diamond Peak", Stranahan, Colorado Whiskey "Straight Rye", Michter's US*1, 750ml Bourbon "Double Oaked", Woodford Reserve Click here to register for the "Best of" the Whiskey Obsession Festival Whiskey Tasting at Michael's Wine Cellar. Admission is $25 per person and reservations are required. 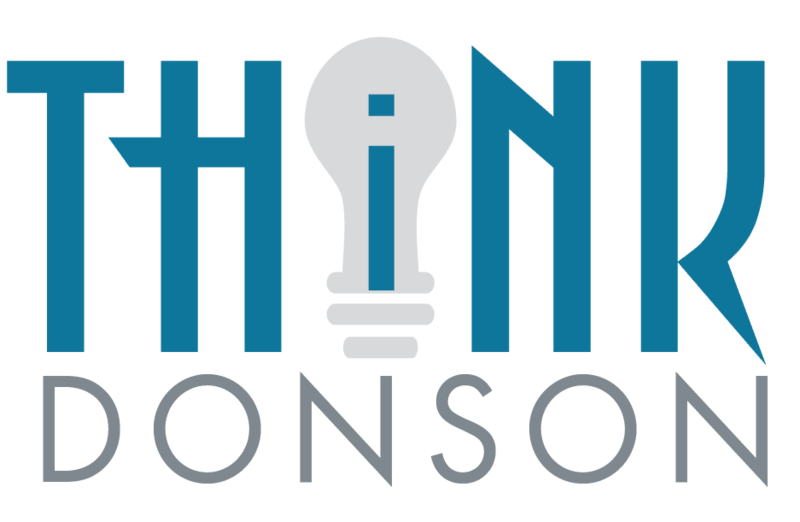 Our team looks forward to hosting the Grand Tasting of the Fourth Annual Whiskey Obsession Festival on Friday, April 1 in the Ballroom. Click here for details and tickets to the Whiskey Obsession Festival, and prepare to explore hundreds of fine spirits from Japan, Scotland, Ireland, Canada, France, and the US! Following the popular Whiskey Obsession Festival, Michael's Wine Cellar will host a special Whiskey Tasting at 6:30 p.m. on Tuesday, April 12. The intimate tasting will feature select spirits recognized as the "Best of" the Whiskey Obsession Festival's Grand Tasting set for Friday, April 1. Click here to register for the "Best of" the Whiskey Obsession Festival Whiskey Tasting at Michael's Wine Cellar. Admission is $25 per person and reservations are required. Enjoy a Bordeaux Wine Tasting, casual Saturday afternoon Wine Tasting or the "Best of" the Whiskey Obsession Festival this April at Michael's Wine Cellar. The Michael's On East culinary team is challenged to design five-course menus inspired by exquisite wines each month for its popular wine dinner events. This month, lovers of French wines will rejoice as Michael Klauber himself hosts a Bordeaux Wine Dinner at 7 p.m. on Saturday, April 2 at Michael's Wine Cellar. Admission is $125, plus tax and gratuity, per person and reservations are required as space is limited. Click here to register. It's also almost time for another Open House Wine Tasting at Michael's Wine Cellar. But regulars, need to pay attention to the calendar this April. Michael's April Open House Wine Tasting will be held on the SECOND Saturday of the month, 2-4 p.m. on Saturday, April 9. Admission is $10 per person. Click here to register. Following the popular Whiskey Obsession Festival, Michael's Wine Cellar will host a special Whiskey Tasting at 6:30 p.m. on Tuesday, April 12. The intimate tasting will feature select spirits recognized as the "Best of" the Whiskey Obsession Festival's Grand Tasting set for Friday, April 1. Admission is $25 per person and reservations are required. Click here to register. Tis the season for visitors! From family and friends taking advantage of our gorgeous weather for the entire season, to nieces, nephews or grandkids visiting during spring break, it's time to find new "house wines" to entertain at your place. Join us tomorrow, 2-4 p.m. on Saturday, March 5 in the Wine Cellar, to taste dozens of international wines and discover a few new favorites to take home. Click here to register online in advance, or simply join us at the door. Admission is $10 per person. 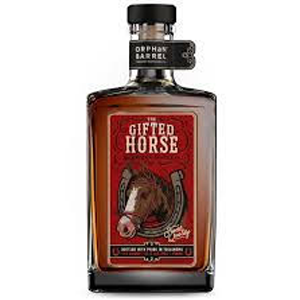 Limited Release Whiskey: The Gifted Horse from Orphan Barrel The Store has obtained another limited release whiskey from Orphan Barrel! Call or stop in the Wine Cellar ASAP to purchase one of six bottles available of “The Gifted Horse.” (Available for $99.95/bottle.) Here's how this exclusive bottle came to be, from our friends at Orphan Barrel: As we were preparing our next Orphan Barrel release, the unthinkable happened, we made a whopper of a mistake, emptying barrels of much younger whiskey into a batch of beautiful 17-year-old Kentucky Straight Bourbon Whiskey. With bated breath, we tasted this monumental blunder… and quickly agreed this was one gift horse we shouldn’t look in the mouth. With a final balance of roughly 39% 17-year-old Kentucky Straight Bourbon Whiskey ad 61% 4-year-old Corn Whiskey and Indiana Bourbon Whiskey, this unusual blend has aromas of apple skins, almond and toffee, and tasty hints of cream caramel, oak resin and bosc pear. Our gaffe is your gift. We hope you’ll agree that this happy mistake created something surprisingly special. Winery Profile: Jamieson Ranch Vineyards Jamieson Ranch Vineyards is the southernmost winery in the Napa Valley, one of the world’s foremost winemaking regions. The estate’s more than 300 acres of gently rolling hills and terraced vineyards benefit from the cooling fog and breezes from the nearby San Pablo Bay, climatic conditions that favor the production of exceptional Pinot Noir and Chardonnay. The unique architecture of Jamieson Ranch Vineyards is reminiscent of a majestic western mountain lodge, replete with soaring ceilings, seating around a cozy fireplace, an observation gallery overlooking the barrel room and production area, and a spectacular wraparound veranda that affords sweeping views of the Napa Valley and San Pablo Bay. Wines on Tap JRV is the first winery in Napa to offer wines on tap and refillable growlers. The growlers are a full liter in a stylishly branded, returnable, refillable and environmentally-friendly container. Jamieson Ranch Cabernet Sauvignon, Reata Pinot Noir and Reata Chardonnay are now available on tap, and can be purchased by the glass on-site, or taken home in in a signature growler. Prices vary based on varietal. 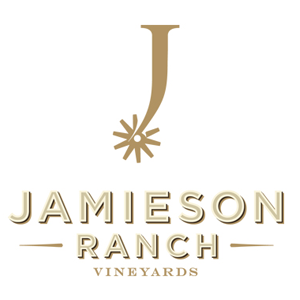 JRV’s Light Horse Foundation In an effort to enrich the lives of people in need, Jamieson Ranch Vineyards established a charitable foundation in 2013. The guiding principal of the Light Horse Foundation is our belief that individual actions, taken consistently over time, can affect major change. That is why we focus on grassroots organizations by donating a percentage of profits from the sale of our Light Horse wines, with a minimum annual commitment of $50,000, to this foundation. Ready to taste for yourself? Please join us for a Jamieson Ranch Vineyards Wine Dinner on Saturday, March 5. 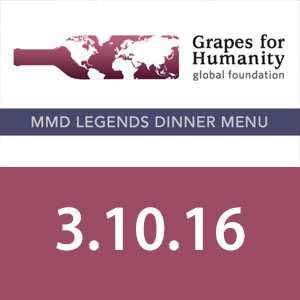 Click here for more details, featured wines and reservations for this special event at Michael's Wine Cellar. Michael's Wine Cellar will host an extravagant Jamieson Ranch Vineyards Wine Dinner at 7 p.m. on Saturday, March 5, 2016. Featured wines will include: * Prosecco, LaLuca, Veneto, IT, NV * Sauvignon Blanc “Silver Spur”, Jamieson Ranch Vineyards, Napa Valley, CA * Chardonnay “Egan Vineyard”, Reata, Sonoma Coast, CA * Pinot Noir, Reata, Sonoma Coast, CA * Red Blend “Whiplash” Jamieson Ranch Vineyards, CA * Cabernet Sauvignon "Double Lariat", Jamieson Ranch, Napa Valley, CA * Zinfandel “Whiplash”, Jamieson Ranch Vineyards, Lodi, CA * Port, Delaforce “LBV”, 2008 Admission is $95 per person, plus tax and gratuity. Space is limited and reservations are required. To make wine dinner reservations, click here or call 941-366-0007, ext. 229. Michael’s Wine Dinners are extravagant, multi-course feasts paired with fine wines from around the world and visiting wine personalities. Our wine specialists select each wine, and our culinary staff creates a menu to complement the intricate layers of the wines. Please join us at Michael's Wine Cellar for a special wine tasting event: A Blind Tasting of Cabernet Sauvignon from Around the World! Tuesday, March 8, 2016 6:30 - 8:30 p.m. 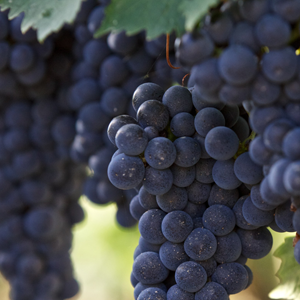 This special class will offer a tasting of four Cabernet Sauvignons from different locations around the globe as attendees learn how the environment of each region effects the grapes. Admission is $20 per person and reservations are highly recommended as space is limited. Light bites will be available. Click here to make reservations online now or call 941-366-0007, ext. 229.